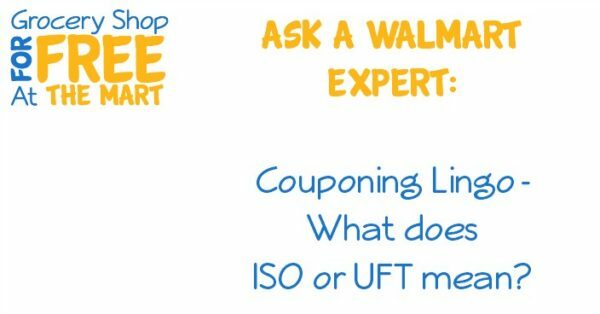 Ask a Walmart Expert: Couponing Lingo – What Does ISO or UFT Mean? Couponing Lingo – What does ISO or UFT mean? If you are ever in a forum or FaceBook room with other couponers, you will usually see the abbreviations UFT or ISO. UFT means “Up For Trade”. This means that the couponer has a coupon or coupons that they would like to trade, either for money, stamps, or other coupons. ISO means “In Search Of”. This means the couponer is looking for a specific coupon. If you have it, reach out and see what they are willing to give for it.